I think I've been sigged more times as a result of my comments in this thread than I have in most of my other activity on these forums. 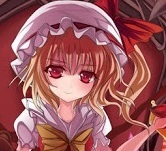 http://www.bay12forums.com/smf/index.php?topic=147430.100 Rate the signature of the person above you! Please play. Oh. Shouldn't take too much; just a browser with the Flash plug-in. Might be a bit slow to respond on slower computers; I haven't tested on anything but my own box. It is not, however, a single-player game. I'm curious (I have no Internet only a phone, can't play yet) how is this different from civilizations? Besides being faster? You can pretty much name a mechanic from Civilization, and my game does it differently. It's thematically very similar, but the implementation is very different. Looks like a pretty cool game. Will download when more stuff is implemented I think. I have a pretty bad internet connection though so might not actually be able to play unless it uses really small amounts of bandwidth. I enjoy empire building games so I should like this one whether or not it gets really complicated (I highly enjoy micromanagement though). Sorry to sorta necro this thread, but I haven't had time to rummage through Creative Projects in a while so thought it would be a better time then never to respond. There isn't actually much to download. It's a flash game, runs in a browser window. Comes to 150 KB total. (I should probably build a preloader...) You'll need some other players, of course. I think I'm going to try starting a game over in Forum Games and Roleplaying again.